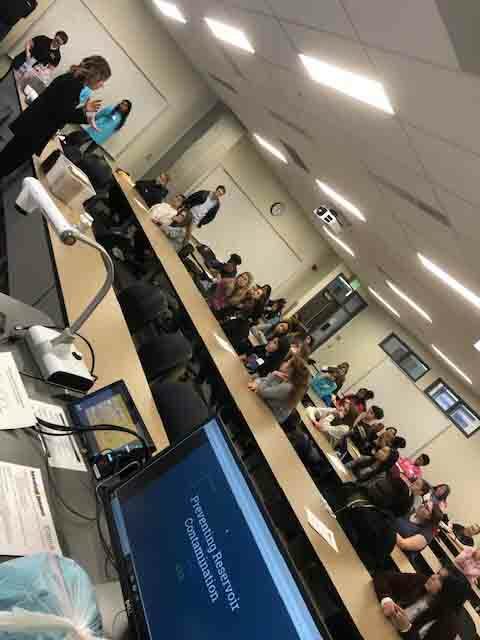 Sara McMillan, Coleen Riley, ABE Ambassadors and Dan Taylor presented a new Bioenvironmental Lab to about 45 high school students last Saturday as part of Introduce a Girl to Engineering Day (IGED). We will be honoring Dr. Kumar Navulur (PhD, 1996) as our Distinguished Agriculture Alumnus on Friday, March 22, 2019. 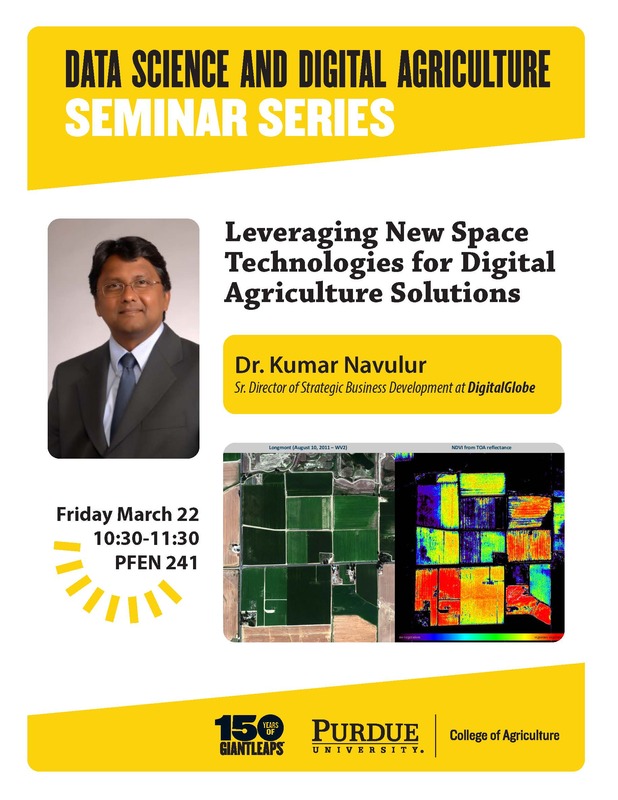 He will also present a Data Science and Digital Agriculture seminar that morning at 10:30 in PFEN 241. 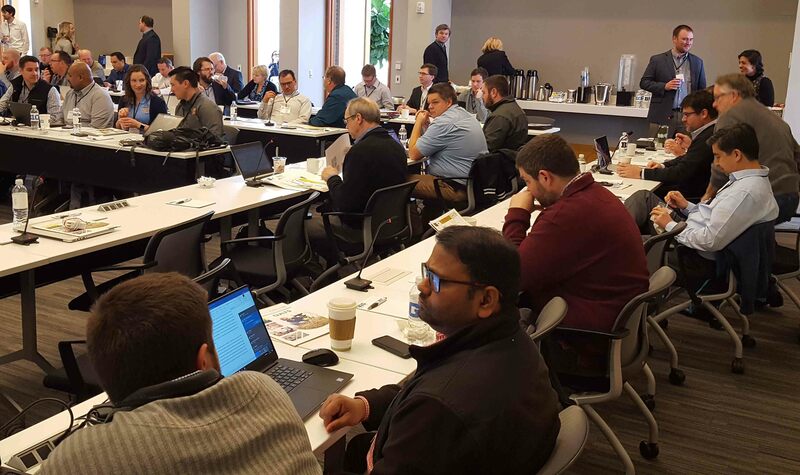 "Leveraging New Space Technologies for Digital Agriculture Solutions" is a must-hear for those to whom imagery data has value. Join us! About 30 of our alumni and friends gave up their afternoon/evening on Monday, February 25, to come to campus and encourage and evaluate our senior capstone/senior design teams. Following a welcome and some brief instructions from Dr. John Lumkes, the presentations lasted about 2 hours. The evening concluded with the reviewers and students sharing a meal. If you are interested in helping in the future, please let Carol Weaver know. The Senior Capstone/Senior Design Experience will be Thursday, April 18, from 1 - 3 pm in the North Ballroom of the Purdue Memorial Union. Ed Kirkpatrick, 97, passed away Wednesday afternoon, Feb. 27, at University Place in West Lafayette. 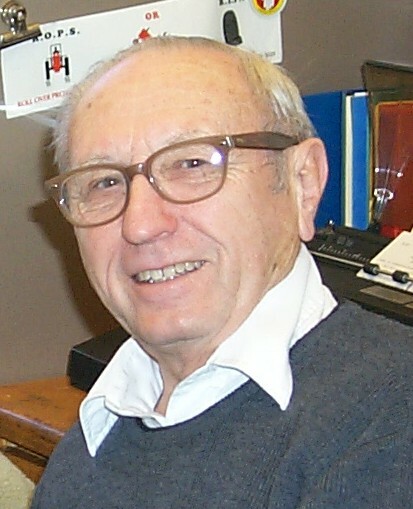 He worked for Breaking New Ground/AgrAbility in ABE for more than 25 years as the primary shipping coordinator for BNG resources and as an editor of BNG publications. Ed’s work ethic was a challenge to all who knew him. He came in early and wouldn’t count all of his hours for pay, especially if he didn’t think he contributed enough (though he always did). To keep contributing, he even learned some of the challenging skills of computer use and database entry when he was in his upper 80s. Ed’s last paycheck Purdue was issued in November 2017 when he was 95 years old. Prior to working with BNG/AgrAbility, Ed was an editor/writer for 19 years with the Agricultural Communication Service at Purdue. Before that, he served in management and editorial positions on several newspapers including the Knightstown (IN) Banner; the Harrisburg (IL) Daily Register; the Frankfort Morning Times, and the McLeansboro (IL) Times Leader. Ed was also a veteran, having served in North Africa during WWII. 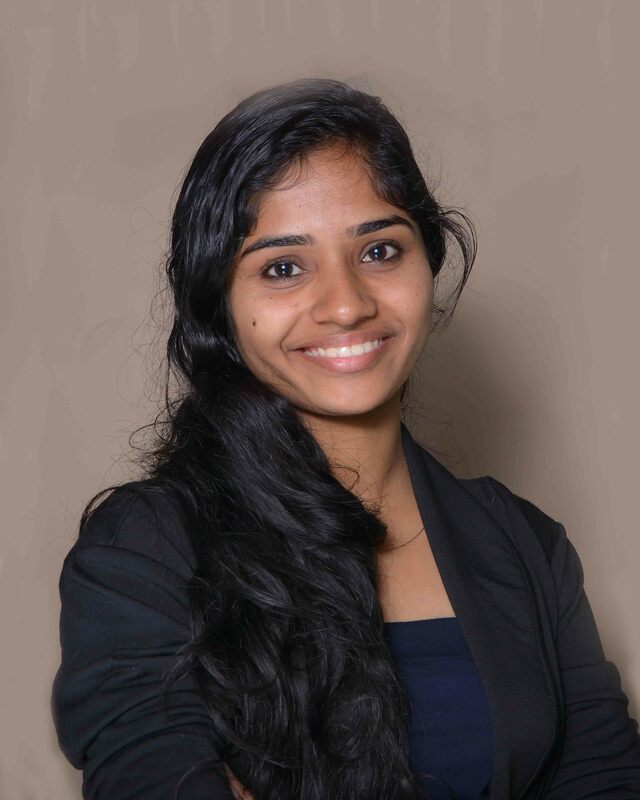 Femeena Valappil Pandara has been recognized as one of the New Faces of ASABE 2019. This is awarded annually by the American Society for Agricultural and Biological Engineers. Femeena is a PhD student "who develops decision-making tools useful in the food-energy-water nexus, particularly in water-resource availability and management. She was named one of only 25 “Green Talents,’ by the German Federal Ministry, for her contributions toward sustainable development." Congratulations, Femeena - you represent us well! "Val Schull is not only an outstanding academic but also steps out of the role of what a PhD student should be and dedicates their time to empowering and improving the experiences of marginalized students on campus. Val is a true leader and an innovative thinker. The Latino Cultural Center is better because Val exists. I could not think of anyone who deserves this award more." 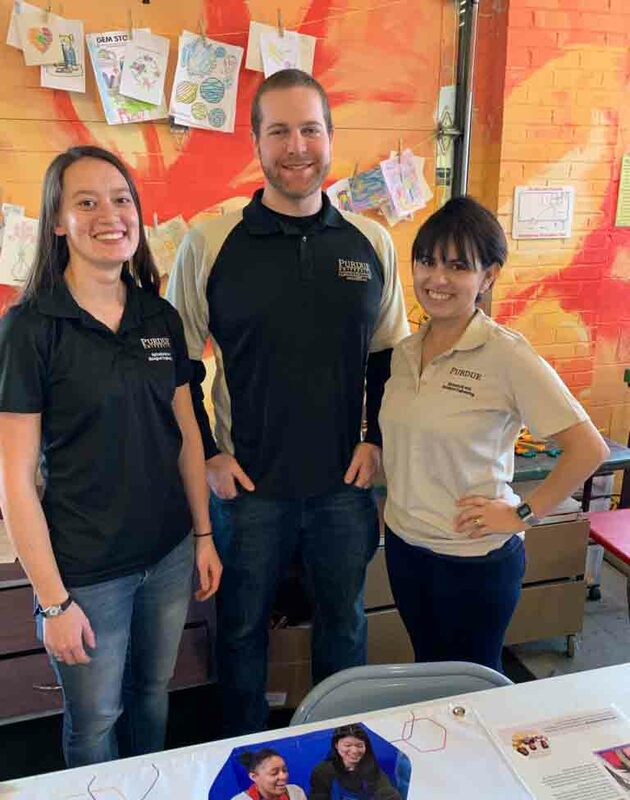 Among other contributions, Val worked as an unpaid intern with Paul Lengemann (ABE '17) and Roberta Weiner, applying their knowledge in urban agriculture to establish the LCC community garden to combat food insecurity, a particular concern of Purdue students of color. 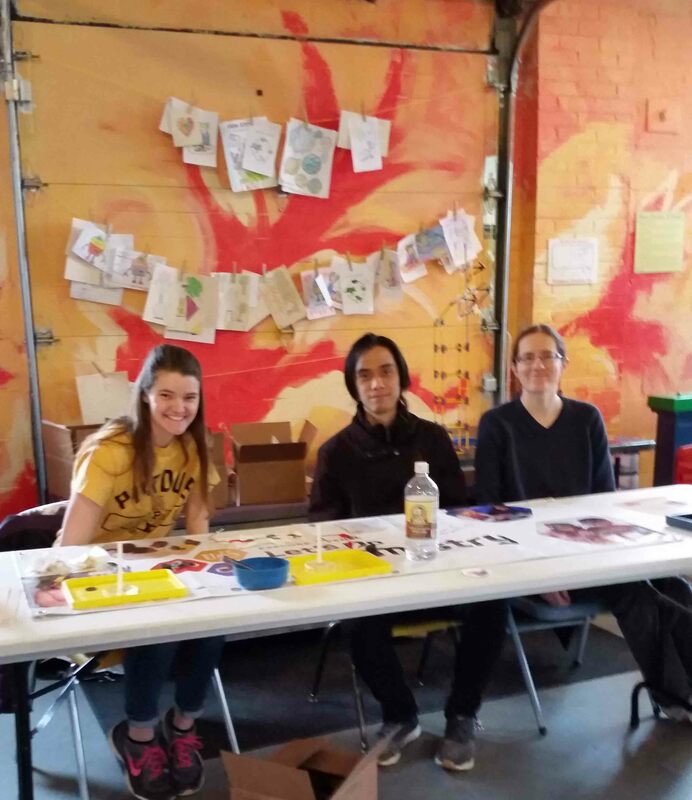 ABE GSA Philanthropy teamed up with Imagination State in Lafayette to introduce kids to the joys of simple science. 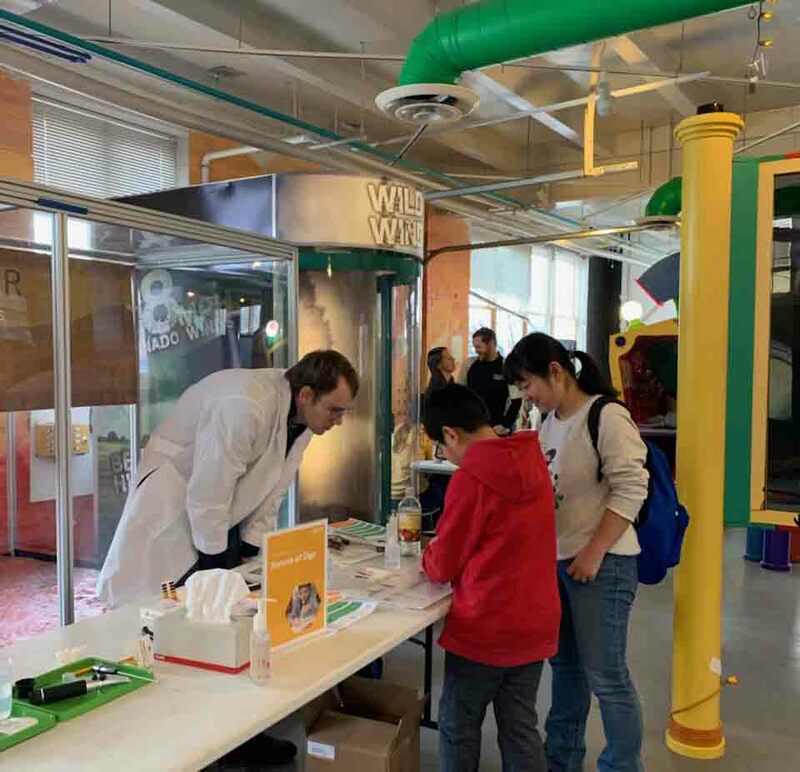 Imagination Station is a science center geared toward kids and they provided several simple chemistry kits that we helped the kids learn how to use. The four stations were making a battery from vinegar and copper/zinc, demonstrating the chemistry of smells, making dye, and testing water quality and parameters. Five participants came along from the ABE grad students and four additional friends from outside ABE came as well, including volunteers from forestry and natural resources, hospitality and tourism management, and mechanical engineering. The kids loved it and the volunteers did too! Probably the highlight of the conference was the Event Storming activity of Tuesday morning (left). 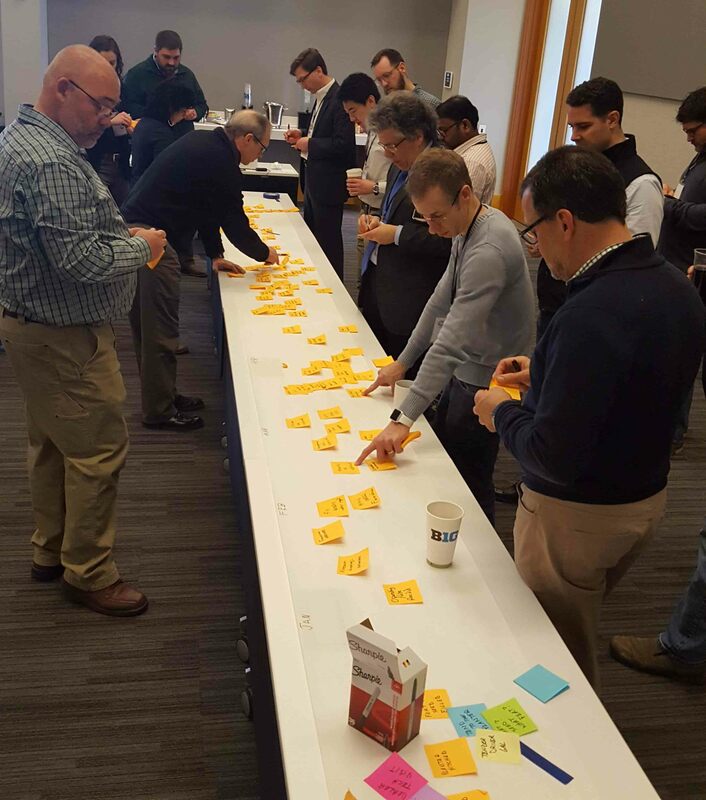 This activity was very engaging and was used to generate a common understanding of events, data elements, and connectivity across the entire process. Two tracks were conducted: cropping systems and food chain. For more information about the center, visit https://oatscenter.org.